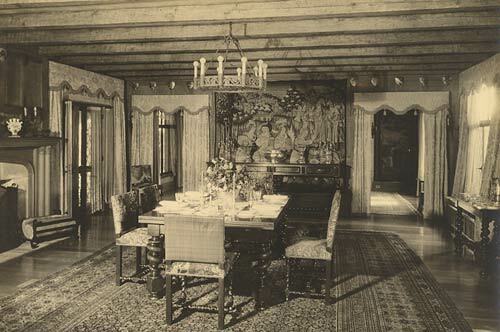 Visitors to the Stamford Museum & Nature Center walk into the museum, look around and invariably know that this was once someone's private residence. Whose house was this? Who could have possibly dreamed of the detailed lead-glass windows, the graceful archways, and the elegant Great Hall? 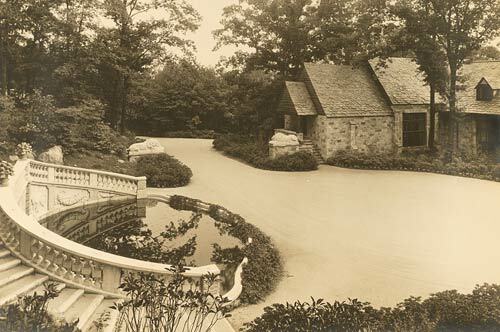 The Stamford Museum building was the brainchild — and heart's desire — of fashion designer and department store owner Henri Willis Bendel (1868 - 1936). 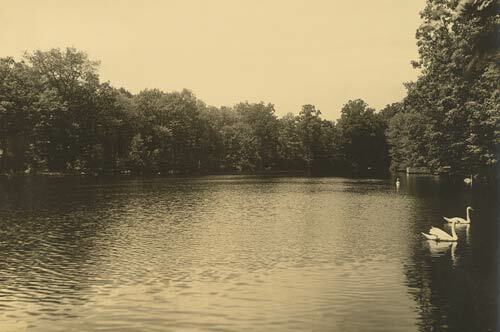 The Lafayette, Louisiana, native had become an icon of the New York and Paris fashion worlds in the 1920s and '30s and accumulated a sizeable fortune in the process. 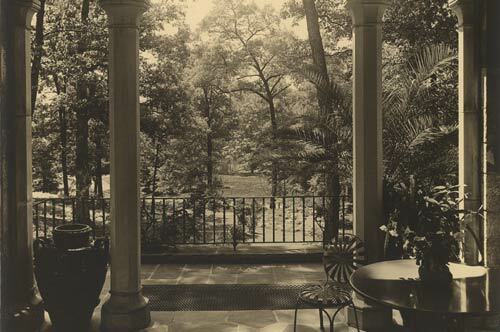 In the late 1920s Bendel approached architect, Perry Barker, with a dream: he wanted to build a mansion that recreated the classical elegance of a British manor house. Bendel's plan was very specific. 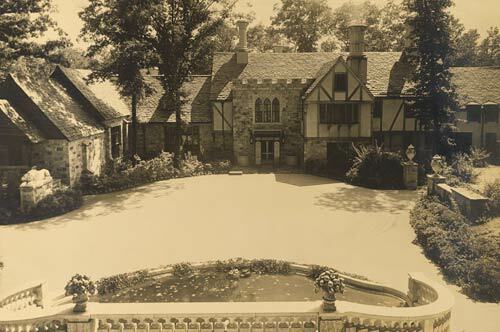 He wanted Barker to base the design of his new home on two British manor houses, Shoppenhangers and Ockwells, two Tudor mansions located in Maidenhead, England. Barker followed Bendel's wishes to the hilt. 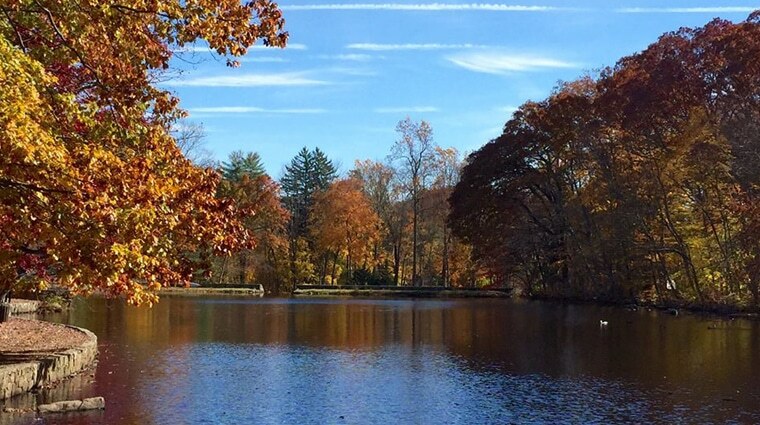 Perched on a hill overlooking Laurel Lake, Bendel's mansion, with its lead-framed glass windows, half-timbered walls, gargoyles, slate roof, and multiple chimneys, is the epitome of the American "castle" of the time: distinctly continental, sumptuous, and refined. Unfortunately, Bendel did not live long to enjoy it, as he died in 1936. The property, with its genteel Continental connections, passed through different hands for almost 20 years. 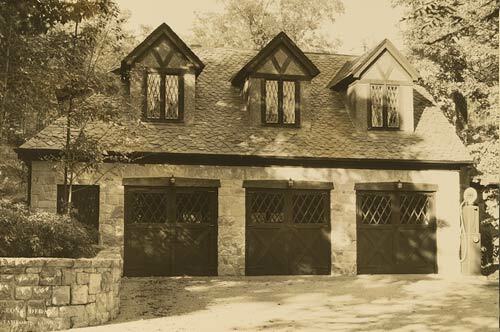 In 1955 it was bought by friends of the Stamford Museum, which relocated to the site from its prior Courtland Park locale and expanded to become the Stamford Museum & Nature Center. Bendel's creativity and inspiration are evident not only in the mansion but throughout the property. 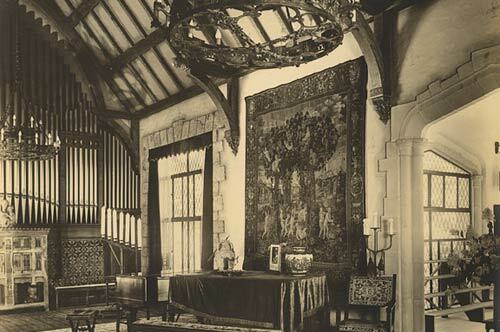 The Tudor influence in the building's design is obvious. 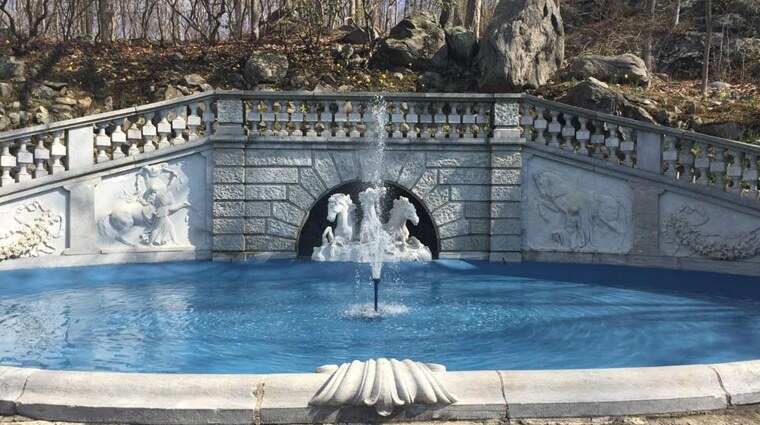 Less known is that the Bendel-Perry design included the use of several Italian marble sculptures in the decoration of the gardens. This was in keeping with the British habit of adorning the grounds of "Great Houses" with Italian art. 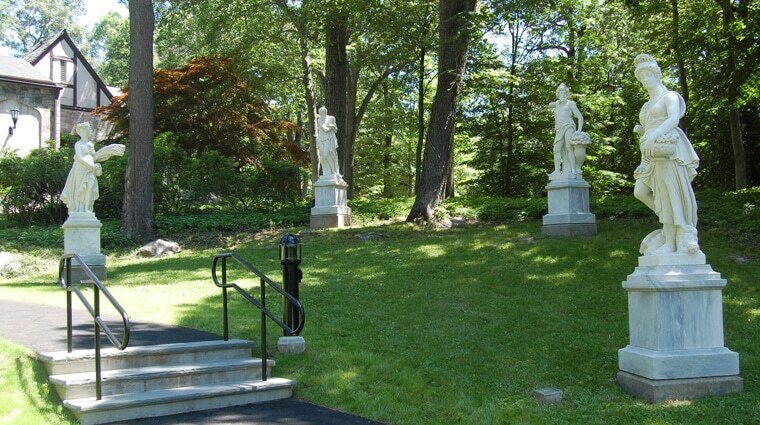 The visitor to the Stamford Museum & Nature Center can admire several pieces of Italian sculpture on its grounds. 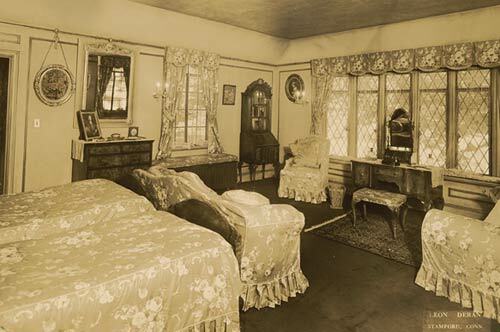 Some of them were left here after Bendel's death, while others were auctioned off at the time to settle his estate. Fortunately, some were returned to the Museum by their purchasers while others were donated in the 1940s and 1950s by Museum supporters who shared Bendel's original vision. 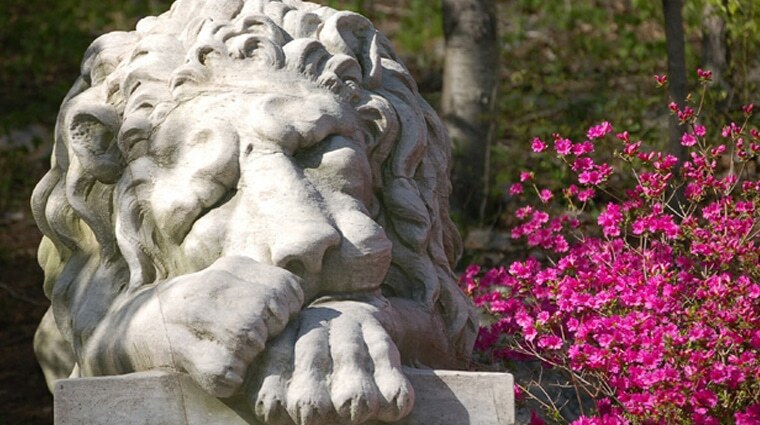 The artworks more essential to the design of the mansion are the so-called Bendel Horses and the Bendel Lions ("Asleep" and "Alert"), on the Fountain Plaza. Carved by unidentified artists, these Italian sculptures give the entrance to the Museum an impressive and sumptuous effect. The Horses are the oldest pieces in the group, dating from circa 1850. The staircase that surrounds them, with its balustrade, is a typical feature of the Italianate period in British garden design, which started about 1850 and remained in fashion until the late 1800s. On the stairway between the Meadow and the Museum's front entrance are "the Four Seasons." The originals of these allegorical sculptures were designed to celebrate the wedding of Cosimo II, Grand Duke of Tuscany, in 1608. They are the work of Pietro Francavilla ("Spring"), Giovanni-Battista Caccini ("Summer" and "Fall") and Taddeo Landini ("Winter"). The Museum's sculptures are 19th century copies, except for one -- "Summer" -- which may be an original by Francavilla. A highlight of the Museum's outdoor sculpture collection is "Ruth," by Giovanni-Battista Lombardi. 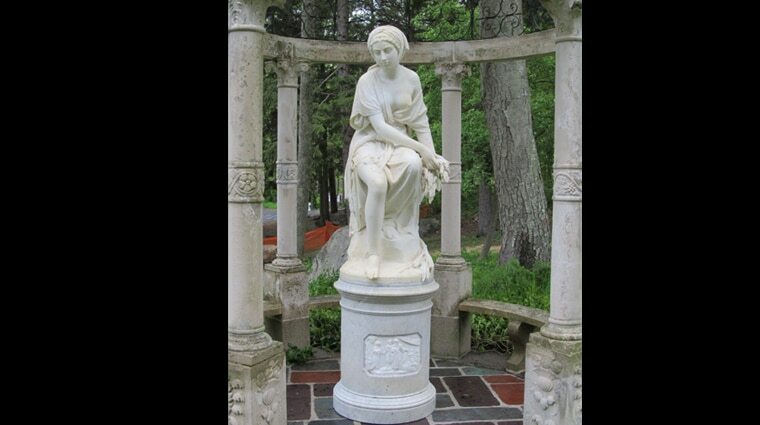 Made in Rome in 1862, this graceful sculpture sits in a gazebo across from "The Four Seasons." In "Ruth" Lombardi blends elements of the Neoclassical and the Romantic styles. Her serene demeanor is most appropriate for this Biblical character, a symbol of kindness. The gazebo itself is also in the Italian style, being a replica of a small circular temple located in Villa Cimbrone, in Ravello, Italy. Today, the Bendel Mansion is much-changed from the days when the designer gave the lavish Christmas parties that were the talk of the town. However, the impact of his genius is unmistakable.